This application report discusses improving power supply reliability with IC power regulators. 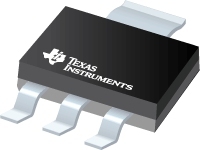 The purpose of this application report is to aid the user in maximizing the power handling capability of Texas Instruments power packages by using the SOT-223 as an example. When working with voltage regulator circuits the designer is often confronted with the need to calculatethe tolerance of the regulated output voltage. For fixed voltage regulators this problem is easily managedbecause the required information is directly supplied on the semiconductor manufacturer's data sheet. This application note discusses the operation and compensation of linear regulators. The power limitations of the physical packaging for a linear regulator device can limit the total output current or the input-to-output voltage differential. This inherent limitation is not always apparent from the product data sheet and must be evaluated during the design phase. This application note shows how the package can limit the operating envelope of a linear regulator.